Pat Estep was looking to buy a boat, a fast boat. He’d been using a three-seat Sea-Doo that runs at 65 mph, so he was used to speed. But speed wasn’t the only requirement. Estep and his wife, Christa, wanted something that would accommodate friends and family. Their daughter and two young grandchildren live near their Evans, Ga., home, and their other daughter visits with her husband and toddler. In February, the Esteps decided to buy a 22-foot Sylvan pontoon with a 150-hp Yamaha outboard engine that can handle 12 people, pull a tube and run 42 mph. It was safe, spacious and comfortable enough for their grandkids to nap aboard. And they can keep it in the water year-round. The Esteps reflect what appears to be a trend. When Soundings Trade Only interviewed dealers around the country about boat sales this spring, almost all were disappointed. Several, however, say they saw surprising growth in pontoon sales. Though sales of aluminum pontoon boats remain below their prerecession peak, they have been increasing — something that has yet to occur in the broader fiberglass market. Builders and dealers attribute this to two things. First is versatility. Some think improvements in the pontoon segment have caught on with consumers. These boats can run at a good clip, tow a tube, and carry more passengers than a runabout or other more traditional design. Also, as some downsize from two boats to one they want that one boat to do everything. The second is generational. Baby boomers looking to accommodate growing extended families are attracted to pontoons for their size, comfort and price, which is often lower than a runabout, for example. Though sales have trended erratically — up by double-digit percentages some months, down in others — some dealers say the pontoon segment has helped them stay afloat. 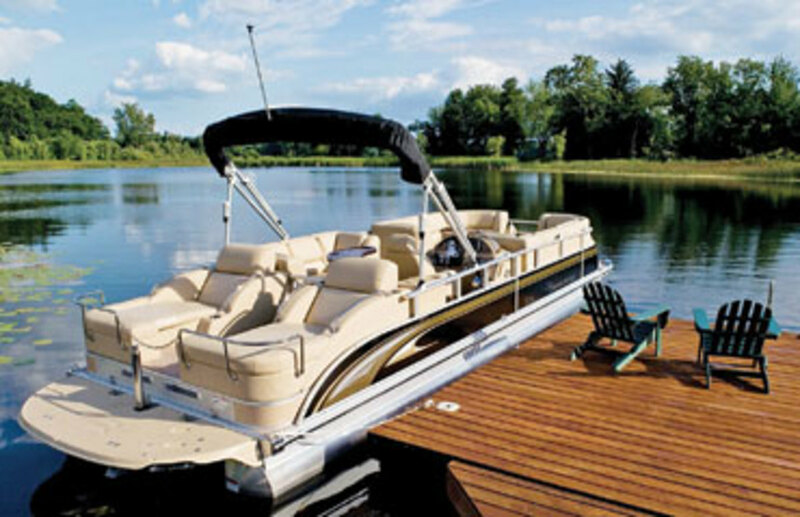 Pontoon sales in May were up 17 percent over April, according to data released by Grand Rapids, Mich.-based Statistical Surveys. In Florida, one of the top states for pontoon sales, 27.7 percent more had been sold year-to-date as of April, according to Aarn Rosen, who heads the marine division at Statistical Surveys. But year-over-year, Florida was only up 4.5 percent between March 31, 2010, and the same date this year. Kentucky, another top 10 state, was down 23.8 percent in that same time frame. From its peak right before the recession, the pontoon market plummeted 60 percent after the market crashed, says Steve Vogel, CEO of Elkhart, Ind.-based pontoon builder Bennington Marine. It has rebounded but is still well off its highs — 45,000 units at the peak to around 22,000 now. “All the pontoon builders are up, not just us,” says Bob Menne, founder and CEO of Premier Pontoons in Wyoming, Minn. Premier’s sales had increased around 40 percent over last year as of June, and Menne predicts the company will end the year around 42 or 43 percent higher. Though sales aren’t booming, some pontoon builders say they are gaining market share in large percentages. Entering the recession, Bennington had about 11.5 percent of the total pontoon market, says Vogel, selling around 5,000 units annually. That increased to around 21 percent in the first quarter of 2011, he says. “If you look at the total number of boats, new and used, being purchased, it’s very close to what it was prior to the recession, but there has been a huge shift to used boats,” he says. Premier Pontoons from 20 to 25 feet have sold well nationally, Menne says, and the entry-level 20-foot segment has been most consistently popular since 2008. He says fiberglass boaters are increasingly switching to aluminum pontoons. “When you look at the overall boaters in the country and the number of boats sold, the pontoons have taken market share away,” he says. Fiberglass boats offer performance advantages and are easy to trailer, so there will always be demand, Menne says. But he predicts that won’t offset the growing demand for pontoons, especially as buyers discover that pontoons aren’t difficult to trailer. “I hear it on the street. I hear it at shows all the time — and this is from people who don’t know who I am — ‘I’m going to get a new pontoon and get rid of the runabout,’ ” Menne says. Though traditionally seen as freshwater boats, pontoons are gaining ground in areas associated with saltwater boating. In Connecticut, for example, pontoon sales from March 31, 2010, to March 31, 2011, were up 27.21 percent over the preceding 12-month period — March 31, 2009, to March 31, 2010 — with 63.3 percent of those in the 21- to 28-foot range. Rhode Island saw a 28.6 percent overall increase, the largest in the nation. Pennsylvania saw a 17 percent increase during that time, and pontoon sales in New York were up 13.1 percent. Sales in Minnesota were up 8.4 percent, and in Wisconsin they were down 2.1 percent. Michigan sold 24 percent more pontoons than last year and had the most consistent increases in all sizes — 27.3 percent in sales of pontoons 20 feet and under, 20.5 percent in the 21- to 28-foot segment, and 20 percent in the 29-foot and above market. Pontoons have been in such high demand at Caruthers Marine in Vicksburg, Miss., that they’ve been hard to get, says general manager Joey Simmons. “Right now, I’m out of pontoons and the companies I want to buy from won’t be able to get me them until August, and that’s the close of the season,” he says. Premier was booked six or seven weeks out in mid-June, says Menne. “And orders are coming in daily, so it’s going to be a good summer for us,” he adds. Many builders, including Premier, had expected the market would be weaker than it has turned out, and dealers ordered conservatively. “It’s not something you can change in a matter of 30 days; it takes time, increasing your scheduling of materials and staffing,” says Menne. Suppliers also had to step up production and, though they worked hard, some had challenges keeping up with demand. The tsunami and earthquakes in Japan had some effect on supply, but Menne and Vogel say the shortfall was mostly because of overly conservative forecasts. “Dealer inventories were so low two years ago, when you double your share and the market is up a little, that’s a lot of demand on us for product,” says Vogel. At the market’s bottom, Bennington was building 24 boats a week, down from its previous high of 25 a day. In late June, Bennington was building 28 boats a day and had worked all but two Saturdays since Jan. 1, Vogel says. The builder hadn’t even projected 6,000 units for the year. Families are attracted to the safety factor, Menne says. Another perk is the layout, Menne says. “It’s got a flat deck, so you’re not confined to choose one seat and sit; you can get up and move around,” he says. Amenities are evolving, something Menne set out to do when he launched Premier 20 years ago. “Right out of the gate, we started offering things that hadn’t been offered in the marketplace in terms of interior and design and carpet colors and helms. And we noticed sales taking off right away,” Menne says. Canon Marine’s biggest 2011 sale was a 31-foot Premier with twin 300-hp Mercury Verados. The boat could reach 50 mph, tow a skier, and the family could load it up with coolers, says Gouveia. The boat cost $120,000. There is “huge demand” in the $35,000 to $75,000 range, says Menne. In the Ozarks region, pontoons and “tri-toons” continue to grow in popularity, says Richard Collins, general manager at Raymond’s Boat & Motor Sales, with three locations in Missouri. He says he has seen demand pick up in the $40,000 to $60,000 range. “That used to be unheard of,” he says. “Obviously the higher the price, the smaller the market, but I [recently] got an e-mail from a dealer in Spokane that delivered one of those $120,000 packages to a family,” says Menne. “That type of stuff is selling. The numbers are not huge, but they’re decent, and we go after that market,” in part because the margins are so good for dealers, he says. Value shoppers also like the fact that pontoons typically use less fuel than runabouts, says Menne. In the past, first-time boat owners often were younger. Now Bennington is seeing more baby boomers who have never owned boats deciding they want a pontoon, Vogel says. Some boomers who had planned to retire at 65 now realize they’re healthier than they’d imagined and want to keep working, so they want to get a “toy,” Vogel says. Others who have to work reward themselves by buying a boat to enjoy time with their friends and families. Retirees, like the Esteps, simply want to enjoy their time on the water. Getting customers engaged in product design makes them more passionate and gives builders good ideas, says Vogel. “We’ve done some things on the Web to facilitate that for dealers and we’ve staffed up internally to be able to do that,” he says. 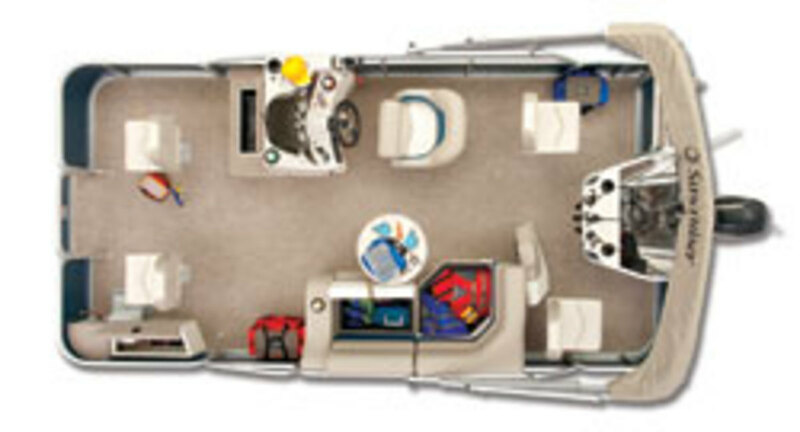 Both Bennington and Premier have online tools to help consumers customize their pontoons, from choosing colors and fabrics to layouts, even on the smaller value boats.